This final post in the book forum is by Daniel Colucciello Barber. “What if the heteronymous agency of the drive were seen from the perspective of Islamic eschatological ethics as having the structure of the ordeal?” (5) With this question Stefania Pandolfo elegantly adumbrates a central aim of her profound book, Knot of the Soul: the elaboration of a certain affinity or resonance—what she at one point calls a “family relationship”—“between the psychoanalytic and the Islamic traditions” with regard to illness. 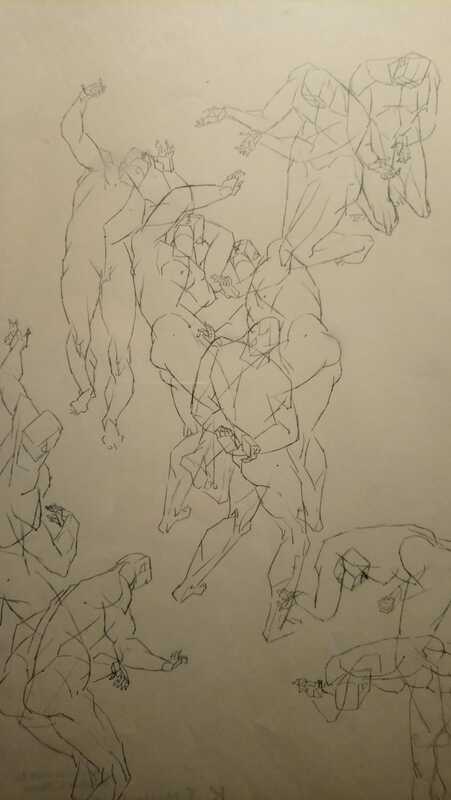 (11) The stakes, implications, and challenges of this resonance, as Pandolfo articulates it, might be observed by means of another question, which emerges out of the same problem space: What is the end of illness? There is, of course, a double valence intrinsic to this question: on one hand, end invokes the practical question of a cessation of illness, of what might be imagined in terms of reaching health or well-being; on the other, end invokes the theoretical or even metaphysical question—can one think being as that which is well?—of a meaning, a sense or direction, in relation to illness. Such a metaphysical register is catalyzed by the fact that, at least on my reading, one of the proposed resonances between psychoanalytic and Islamic traditions is the reality of what might be called an Outside—a denomination I present only provisionally, since there is no presumption of a distinct third term in which the two traditions participate. 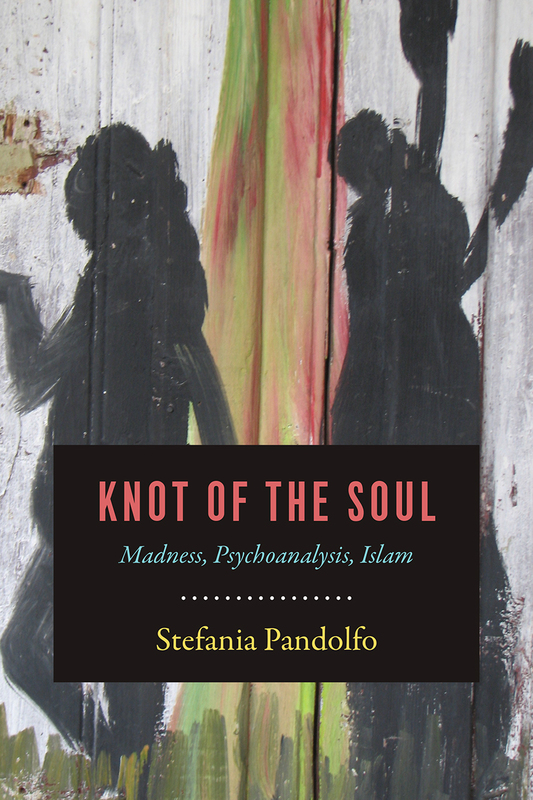 This is to say that the encounter Pandolfo articulates between psychoanalysis and Islam does not proceed in terms of a logic of one and many, where the difference between these two traditions would be mediated in virtue of a point of reference that transcends each. The following post comes to us from Aaron Eldridge, PhD candidate in Anthropology and Critical Theory at the University of California, Berkeley. His dissertation research, staged in Lebanon, concerns the foreclosures/inheritances of revival in Arab Orthodox Christianity. “Lost in the rift of classification, there remained the question of the soul” (309). Knot of the Soul forays into the rift of thinking itself. Just as in the now famous preface to The Order of Things, wherein the “et cetera” of Borges’ Chinese encyclopedia, “the thing we apprehend in one great leap, the thing that, by means of the fable, is demonstrated as the exotic charm of another system of thought, is the limitation of our own, the stark impossibility of thinking that.” But the question of the soul remains. It does not present an epistemological limit (for that is not what thinking is), a horizon of knowledge whose beyond can only be understood as the critical boundaries of interpretation. Instead, the question of the soul, as rendered here, is an enfolded extimacy that striates the necessarily assumed borders between psychoanalysis and Islam, madness and sanity, visible and invisible, the secular (immanent) and the Divine (transcendent). It is a wound, or, more precisely, a wounding. The question of the soul remains, addressing us through scenes of marginalia: immiseration, the ruin of community, the traumatic history of the subject. Settling in to write this introduction to our new book event, I was led on a memorial YouTube detour through the late 1990s/early 2000s. An LA hip hop group called “Soldiers of Allah” was then popular among young Western Muslims. Their politics are clear from their song titles — 1924, Bring Islam Back, Muslim for Life, Imaginary Walls, Fake Scholars, Political Manipulation, Method of the Prophet. Their lyrics were blunt and their music unexceptional. Looking back at that moment now, the albums I had downloaded over dialup, it is easy to focus on how shortsighted was their faith in a politics militant. (The New York Times mentioned the group in the course of an article on “internet jihad”.) But they captured something else: an appeal to the ethical. Against the ruin wrought by nation and state, race and ideology, against the corruption of the world, of fatal divisions and scholarly misguidance, a claim for the possibility of justice. Closing out such a productive book event, first I must confess the difficulty of trying to read Blood this summer. In transit for six weeks between cities on opposite sides of this continent, my efforts to read the book were constantly distracted. These were Ramadan nights when my twitter timeline was filled with blood, pictures of blackened faces rubble and the black billowing clouds of hell loosed onto the earth. All (certainly warranted) criticisms of the pornographic consumption of the dead aside, the futility of such witness (perhaps the futility of every such witness, no matter how fervent, never again and the responsibility to protect), this is the evening redness in the west. But Darwish wrote, “we do injustice to Gaza when we turn it into a myth, because we will hate it when we discover that it is no more than a small poor city that resists” (ونظلم غزة حين نحولها إلى أسطورة لأننا سنكرهها حين نكتشف أنها ليست أكثر من مدينة فقيرة صغيرة تقاوم; full excerpt here, trans. Sinan Antoon). And so these lines eventually proved steadying against news of other crimson tides, these lines from the Darwish prose poem titled Hayrat al-‘a’id (“Perplexity of the Returned”) proved a steadying guide (dalalat) to those at a loss in these bloody times (dalalat al-ha’irin), trying to read Blood. Somewhere in that texture there is a pun or at least a tired gesture about Maimonides and Anidjar, namely the power of a line of prosody to exceed itself beyond its context. Someone (Anthony?) rightly commented earlier that the book resists being disciplined into history or theology or political theory, being utilized and cited to other ends. I can see people working with certain of its close readings (Benjamin, Freud, Melville), folding these moments of the book into their scholarly arguments. Beyond this segmentary approach, I think it’s also possible to respond broadly to its ambition. One example of this kind of work is Kevin O’Neill’s forthcoming Secure the Soul (2015). This decentered ethnography finds Christianity beyond the limits of religion alone, in (indeed making up) the soft security apparatus of postwar Guatemala. Like Christianity, because of Christianity, confounding whatever differences between secular and Christian security, the logics of pious gang prevention show that it is possible to ethnographically demonstrate the idea of an anthropology of Christianity as compulsive — even in the Christian science that is anthropology.